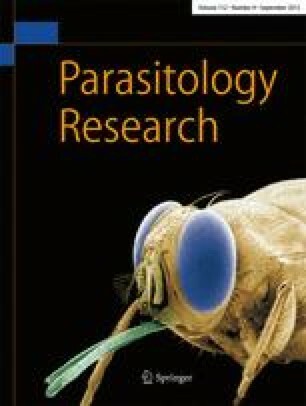 The DNA content of the developmental stages within the life cycle ofBabesia divergens was measured by means of fluorescence microscopy using the DNA-specific bisbenzimide Hoechst 33258. By comparing the mean relative fluorescence intensities, the assumption of sexual reproduction in the gut of the tick vector (Ixodes ricinus) was confirmed. However, no proof of a pre- or postzygotic meiosis was found.